Working as a professional soccer player, with a career spanning in excess of 20 years, I moved to the Sunshine Coast during the early 2000s looking to establish a new exciting career that would challenge and motivate me but most of all enjoy! 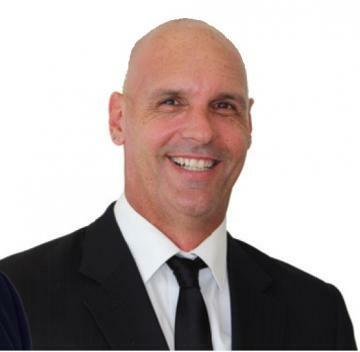 Following a networking event I was led down the path of Real Estate, where I took my first role at Ray White Mooloolaba (later Henzells Mooloolaba) working for Kevin Annetts and Greg Young for the better part of 10 years. Following a short hiatus working in business development within the hospitality industry I am excited to step back into Real Estate and once again work for Kevin, this time as Sales and Marketing Consultant at Kevin Annetts Property. I have nearly 20 years experience working in sales and business development roles, and thrive on embedding lasting, professional relationships with clients, achieving optimum results (a trait from my earlier sporting days.) Work with me and in return I guarantee to provide a professional service and most of all achieve results. Buyers, if you’re looking for a sea change, this apartment offers the best lifestyle the Sunshine Coast has to offer. Your new apartment is set in the thriving heart of Mooloolaba. When you step out the door, you will be seconds away from popular cafes, bars and restaurants, not to mention your walk to Mooloolaba beach will take less than a minute! If you are looking for an investment, this apartment is fully furnished and ready to holiday let, rent or occupy immediately. Your new apartment includes two bedrooms, one bathroom inclusive of a corner spa bath and has been maintained and well cared for. The living area spills out onto an oversized balcony, perfect to unwind and kick-back with a beverage or two! Don’t miss this rare opportunity; the building has an excellent on-site management team, in-ground pool, hot tub, poolside barbecue facilities and has a secure carpark. Enquire today, this vendor is motivated and ready to sell. Set in the established community of Mountain Creek this property offers four bedrooms, study or fifth bedroom, two bathrooms, three open plan living zones and an undercover outdoor living area which backs onto the beautifully maintained gardens. The outdoor living area is impeccable, inclusive of a garden shed and very well cared for and maintained garden beds which include flowers, fruit and veggie patches. This property will suit a growing family or a retiree that need extra space for visitors and loves to garden! If schools zones are a priority your children will be in the catchment zones for both Mountain Creek State School Primary and Secondary schools, both well sought after. Contact me to arrange an inspection; don’t delay as property isn’t lasting long in Mountain Creek. ULTIMATE MOOLOOLABA BEACHSIDE POSITION This is the first time this property has been listed in over 39 years, and is arguably one of the closest homes on the market today, to Mooloolaba beach. This property is a rare find in today’s market, and offers the ability to re-develop the current property via extension and/or renovation of the current dwelling; sub-division of the land or development of a new dwelling or duplex apartments. Situated in a quiet cul-de-sac, on a large 745m2 block adjacent to Mooloolaba State School, this solid brick home includes three bedrooms, two bathrooms and separate laundry. As you step out the door, you are seconds away from cafes, Mooloolaba shopping precinct, restaurants and patrolled beaches. This property is also an excellent investment opportunity, with the demand for rental properties in the area high in the well sought after location of Mooloolaba. This property will not last long, with serious interest already received prior to market; don’t delay inspect today. Set in the evolutionary location of Maroochydore, this property is priced to sell and is ideal for first home buyers or investors looking to expand their portfolio. Situated only minutes from local beaches, Ocean Street and the ever-growing CBD precinct of Maroochydore, this scarce opportunity is yours to own today. With a total of three spacious bedrooms, outdoor courtyard and two bathrooms this property is ideal for Sunshine Coast living. Your new townhouse is located within Fairway Gardens, a complex of twenty-five, which includes a resort style pool with low annual body corporate fees. Nestled in the established community of Mountain Creek this well appointed family home offers four bedrooms, two bathrooms privacy and comfort, complete with a stunning in ground pool, solar and ducted air conditioning this property is a rare find in todays market. The living zones are plentiful, inclusive of a large open plan family room that spills out to an outdoor undercover area, perfect for watching the kids whilst enjoying a refreshing beverage or two. If schools zones are a priority your children will be in the catchment zones for both Mountain Creek State School Primary and Secondary schools, both well sought after. You will be impressed with the very generous master suite which includes a large ensuite complete with a corner spa bath, with views out to the sparkling pool this room is heaven for parents. This home has been well cared for and is ready for its next owners, dont miss this rare opportunity. First time offered to the market in 38 years this well presented Mooloolaba Beachside home will offer great appeal to a large range of buyers. Whether you are looking to capitalise on an investment that boasts a dual income opportunity or simply want more space for your growing family, this property is a must to inspect. Situated only minutes from local beaches and the ever growing CBD precinct of Maroochydore, this scarce opportunity is yours to own today. Two properties set on the one block and space for four cars is yours for the taking; the main residence is set back from the street offering privacy and a well designed open plan living space with pool views, including modern finishes and air conditioning throughout. With a total of three spacious bedrooms and two bathrooms this property is ideal for Sunshine Coast family lifestyle. Additional to the main residence the cottage set at the front of the property boasts a further four bedrooms, 1 bathroom, a fully serviced kitchen and ample living areas; if you need extra space for your expanding family or looking for an investment with a strong rental yield, this property ticks all the boxes. If amazing views are what you are looking for this stunning open plan apartment is a must to inspect! Located front and centre along the coast of Alexandra Headland, this apartment comes fully furnished and has ocean views from nearly every room. The apartment has been stylishly renovated and is very spacious, complete with three bedrooms, two bathrooms and a large open plan living space with expansive ocean views. Buyers, if you’re looking for a sea change, this apartment offers the best lifestyle the Sunshine Coast has to offer; situated in the sought after location of Alexandra Headland you will be seconds away from the beach and minutes from popular cafes, bars and restaurants. Don’t miss this rare opportunity to own this gem; the building is predominately owner occupied, has no on-site management, an in-ground pool and sunbathing area and has a secure carpark. Enquire now, this apartment is vacant and can be yours today! Luxurious apartment with uninterrupted ocean views forever… An amazing opportunity to own in the heart of Alexandra Headland: this incredibly spacious apartment will tick all the boxes and comes with uninterrupted views North and South along Alexandra Headland to Maroochydore beach …not to mention no work needed. This impressive open plan apartment comes complete with top of the range kitchen complete with Gaggenau appliances and marble benchtops and is beautifully decorated throughout. This is generous 141m2 three bedroom, two bathroom apartment, Sunshine Coast lifestyle living at its best. Situated in the prime location of Alexandra Headland beachfront you are literally a stone’s throw away from the beach and minutes from restaurants, bars and shops, park your car in the secure carpark and forget as you wont need it here. Take the opportunity to invest in a beautifully designed apartment, this is a rare find as the building is predominately owner occupied and has no on site management. Call to inspect today to view the many other stunning features this property has to offer. I would like to commend Brett Hughes for his professionalism in the sale of my unit. Brett was always friendly, helpful and sincere in his approach. I was happy with the valuation and the quick sale of my home which was due to Brett’s diligence and hard work. Brett was very easy to deal with and made the process of selling my home a very smooth transition. His genuine and understanding nature was a valuable asset. I would definitely recommend Brett to anyone who is considering buying or selling their home. Brett has been a fantastic agent to deal with. Being interstate buyers we found it hard to find an agent who was genuine and upfront about the properties downsides this was paramount as the agent was either going to make or break the deal when the purchase was so far from home. There was no pressure from Brett to make any irrational decisions and was always happy to answer questions and explain the differences of the Queensland real estate system. Brett was always easy to contact and made arrangements for us to inspect the property at short notice. There is nothing more we could have asked for, in my experience these qualities are hard to come by in modern day real estate agents!